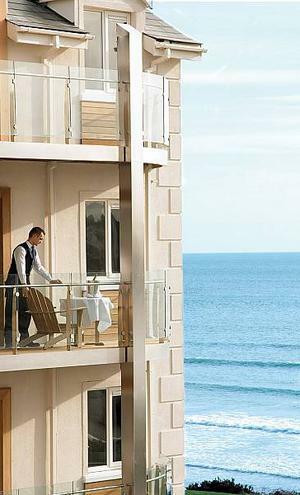 Recently named ‘Best Wedding Venue in Cork’, Inchydoney Island Lodge & Spa overlooks two magnificent stretches of Blue Flag beach, just outside the pretty heritage town of Clonakilty in West Cork and is a warm, polished and welcoming seaside hotel and a glorious spot for an idyllic wedding celebration. 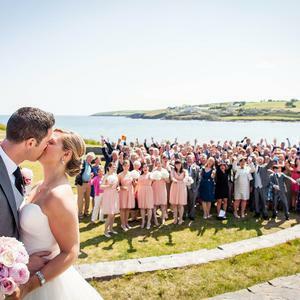 Between 1pm and 4pm on 25th February, the friendly and experienced wedding team at Inchydoney Island Lodge & Spa will be on hand to take guests of the showcase through their wedding offerings. Brides and grooms-to-be will be able to view the wedding room, taste some beautiful dishes created by Head Chef Adam Medcalf and his team, and take a look at table decoration options and more. Why don’t you take a closer look at how Inchydoney Island Lodge & Spa and their stunning new Inchydoney Suite can make your dream day a reality at their Wedding Showcase on 25th February? To celebrate their upcoming Wedding Showcase on 25th February, Inchydoney Island Lodge and Spa are giving readers of THEVOW.ie the chance to win a romantic one night break with dinner for you and your loved one. To be in a chance of winning this luxurious break away, simply pop over to our Facebook page and tell us who you'd like to bring with you on this night away in Cork! Competition closes at noon on Friday 16th February at 12pm. Only one winner will be chosen at random. No cash prize alternative. Prize is non-transferable, subject to availability, not vaild Bank Holidays. Terms and conditions apply.